Notes from a meeting with the Beijing Institute of Agriculture and Forestry at Space Syntax London, 18th September 2013. The rural landscape is a place of production. So is the city: production of goods and production of ideas. Protection of natural assets in the rural landscape. Protection of historic buildings in the city. Avoidance of pollution in both. Protection of water courses – natural and artificial in both. Avoidance of waste in both urban and rural settings. The rural landscape as the wastebasket of the urban landscape. Tension. 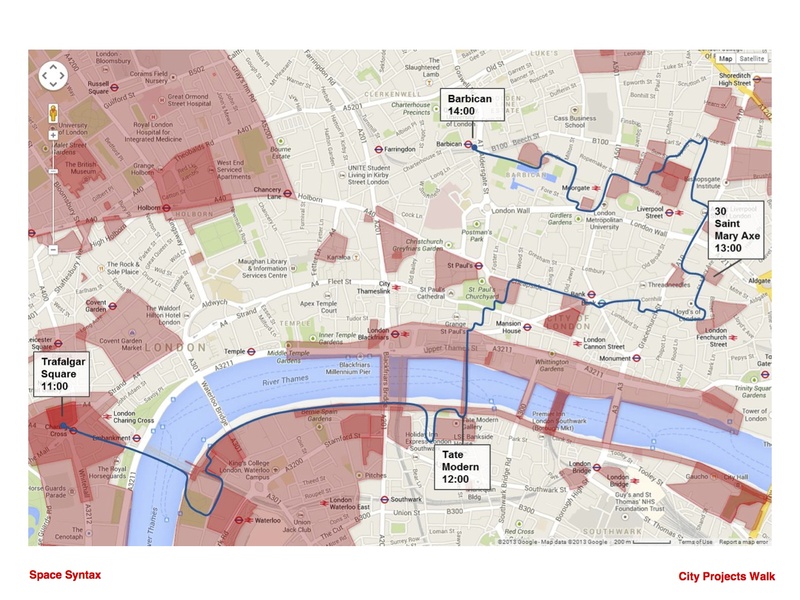 As a user of urban data I know the benefits that can be gained from visualising information on city form and city performance. But… and this is the but… these benefits only flow if the visualisation is followed up with analysis of that data – analysis that seeks out patterns, correlations and associations in order to make sense of the data. Then, on the basis of this analysis, it is possible to inform urban planning and design decisions – indeed I find that good analysis inspires design thinking, pointing the user in certain directions. The approach we have developed at Space Syntax is to be simultaneously a) “data-light”, b) analysis intensive and c) outcomes oriented. I appreciate that we are using our Integrated Urban Models in specific contexts – usually in the crafting of public space designs, urban masterplans and, increasingly, regional strategies – but I believe these principles apply to whatever kind of modelling is being undertaken. One of the weaknesses of urban transport modelling, for example, has been its “data intensity” – its use of multiple variables, coupled with a degree of data “manipulation” – at least this is what I’m told. The result is expensive, time-consuming modelling. Another trend I detect is “data-as-art” – making visualisations, usually animated, of data flows. These create seductive imagery but I do question their purpose – because the analysis is often missing. And therefore, for both of these reasons (data intensity and data-as-art) I worry that cities pursuing urban data initiatives may find that these become extremely complicated, expensive and unwieldy – if aesthetically charming – and I wonder what such data strategies would do to further the cause of cities. They will, no doubt though, reward their creators. The natural shape of the network is a grid, not a tree. Trees focus on singular points – grids share the burden. The natural shape of the city is a grid, not a tree. The evidence of history tells us as much. Rectilinear grids pervade the historic record – in the Middle East, Latin America, East Asia. The gridiron is not then a modern creation – it would seem we have always built grids. How HS2 should learn from HS1’s urban errors? 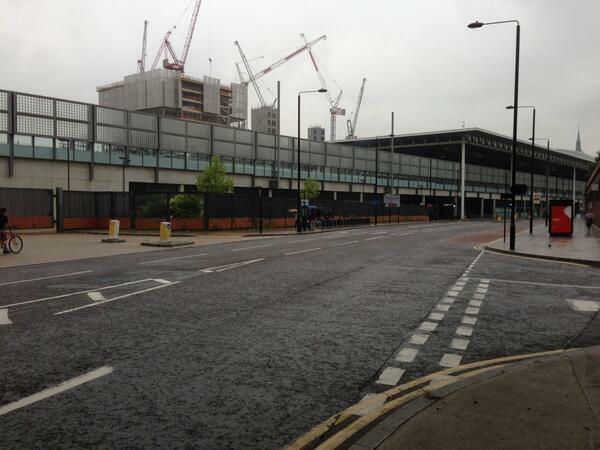 St Pancras Way will one day have active frontages, costing millions more than the initial HS1 investment. The blank frontages and negative street character that were originally built will eventually be transformed to create a place that London deserves. In the meantime, people walk through the loading bay, across the security barrier, past the blank walls. On Tuesday afternoon, 3rd September, I led a walking tour of built projects by Space Syntax.